I’m leading a walking tour from Cobenzl to Grinzing on May 2, 2014, as part of the worldwide Jane’s Walk weekend. Jane Jacobs (1916-2006) was an urbanist and activist whose writings championed a fresh, community-based approach to city building. Her book The Death and Life of Great American Cities is required reading for anyone interested in city planning and how cities work. 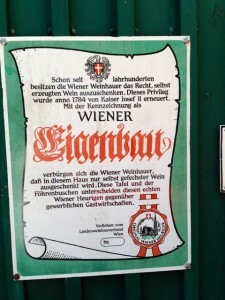 Sign showing proclamation by Kaiser Joseph II allowing grape farmers to sell their own wine (1784) “Buschenschank”. The walk will start at Wiener Linien bus 38A stop in the Cobenzl parking lot. We’ll walk down the Oberer Reisenbergweg into the centre of Grinzing, head up to the Krapfenwaldgasse (see the view above). 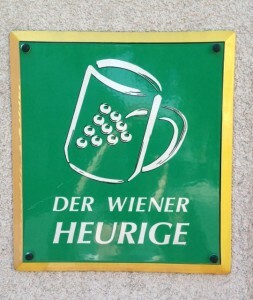 Along the way we’ll talk about history, wine in Vienna and Grinzing. At the end of the walk we’ll stop for a glass of wine and some Heurigen food at Jutta Ambrositsch’s Buschenschank in Residence. 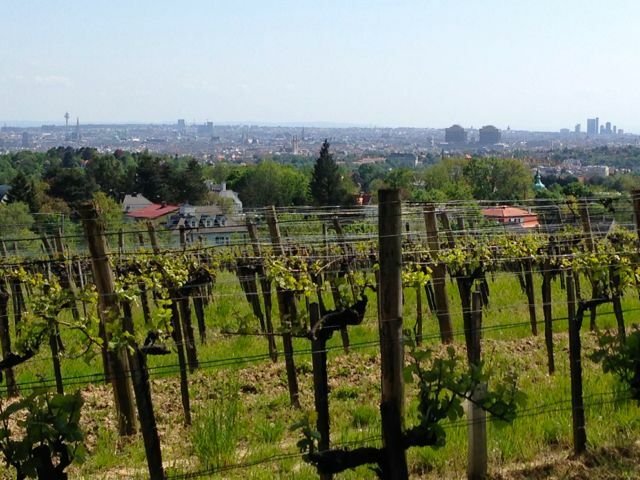 Here’s a link to the detailed information about my tour Grinzing, Wein in Wien in case you’d like to take the walk by yourself. Contact me and I can send you my notes for the tour.